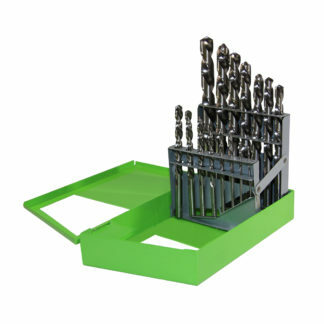 35144 GRIP 15 pc Left Handed Drill Set Sizes: 1/16" to 1/2" by 32nds Description Use with reversible drill to remove broken screws and studs in one easy step. Bits over 3/8″ require a 1/2″ chuck. Sizes – 1/16″, 3/32″, 1/8″, 5/32″, 3/16″, 7/32″, 1/4″, 9/32″, 5/16″, 11/32″, 3/8″, 13/32″, 7/16″, 15/32″, 1/2″. Includes metal storage case.